Classic knits have cross-stitched into a world of eccentricity this season. 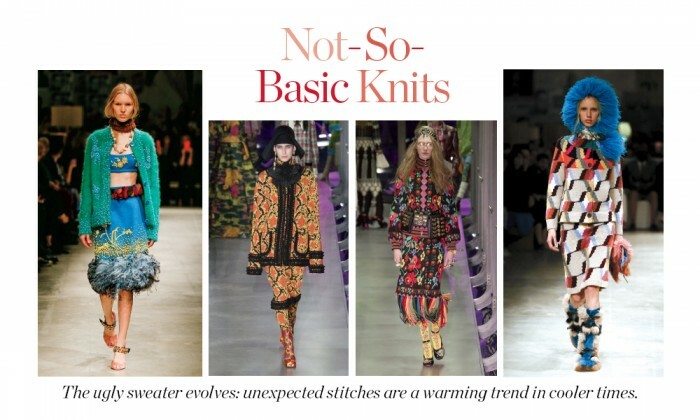 This winter’s knitwear calls for bright patchwork, bold plaids and a winking sense of humor sewn into playful patterns. 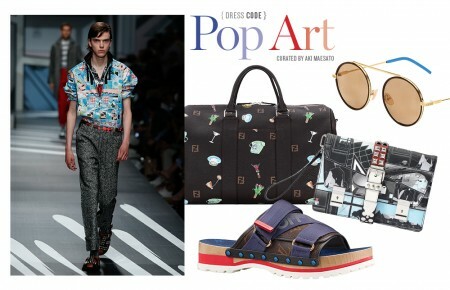 The momentum of this trend exists in its juxtaposition of eclectic prints with accessible coziness. Funky patterns can be paired with a neutral pant but, for those who dare to fully commit, the more complete approach would be to match it with another print. Designers have shown there’s more than one way to weave the look together. GUCCI had one of the boldest. The house has been honing a singularly identifiable aesthetic for the last few seasons that cumulates in intricate, out-of-this-world imagery embroidered on a bright red knit. Meanwhile, PRADA and MIU MIU turned the volume up with more vivid colors.